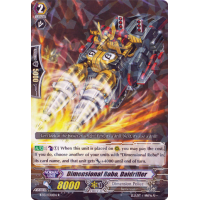 [AUTO]:[Counter-Blast 1] When this unit is placed on (RC), you may pay the cost. 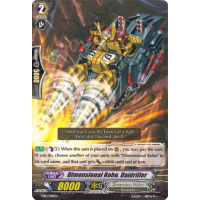 If you do, choose another of your units with "Dimensional Robo" in its card name, and that unit gets [Power] +4000 until end of turn. Let's look at the basics of a fight. First, it's a drill. Next, it's also a drill!